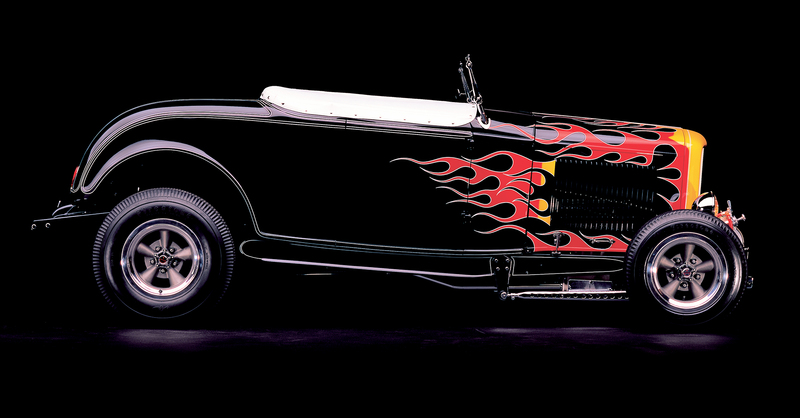 It’s not every day that one of the most significant Deuce roadsters in history becomes available. But that’s exactly what’s happening on January 12th when Tom McMullen’s famous, flamed ’32 Ford highboy crosses the block at Mecum’s Kissimmee Auction. Tom's highboy checked all the boxes, from daily transportation to competition machine. This shot from El Mirage shows the car in its lakes guise which, other than the roll bar and lack of windshield, is identical to its street trim. It eventually hit 167mph with Tom behind the wheel. 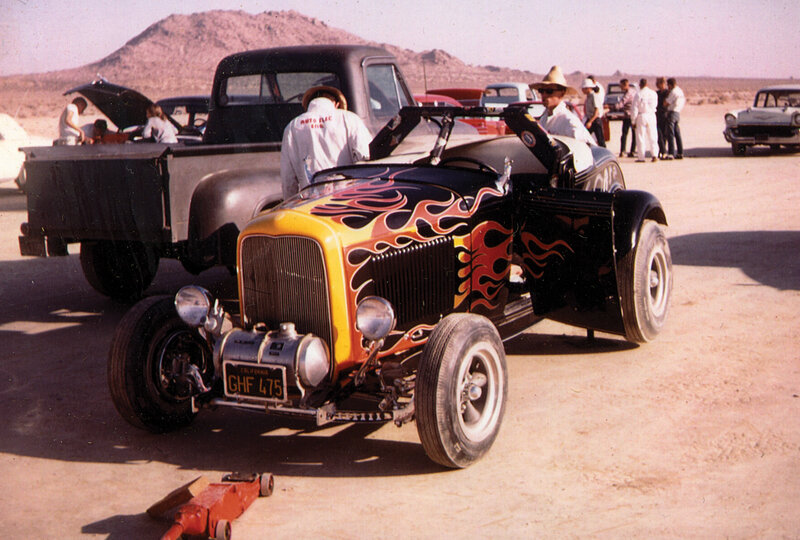 When McMullen bought the roadster in 1958, it was already an old hot rod. Over the next decade it became both daily driver and formidable opponent on the strip, at El Mirage and Bonneville, and on the streets of Southern California. With its American mags, “Big Daddy” Roth flames and polished Moon tank, McMullen’s roadster became arguably the most recognizable hot rod ever. 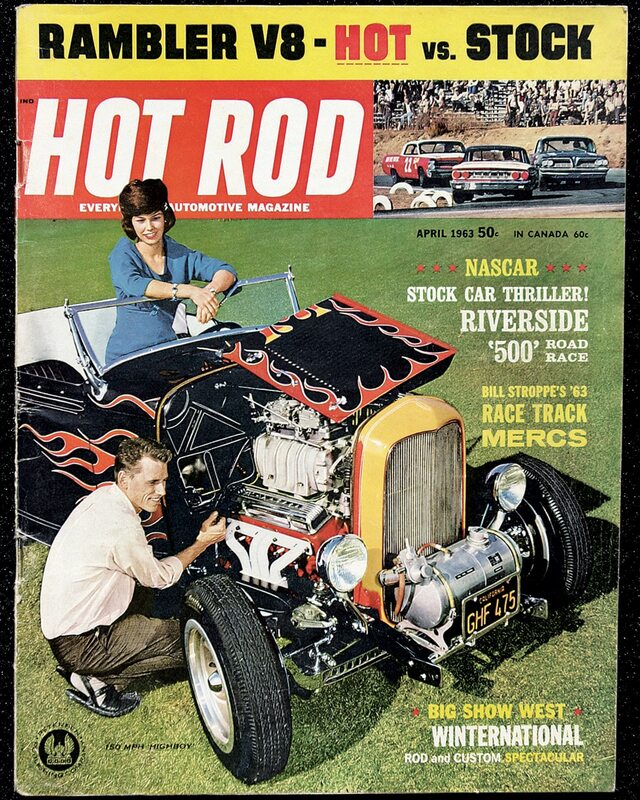 Of all the McMullen roadster's magazine appearances, the April 1963 cover of Hot Rod was perhaps the most memorable. That's Tom eyeing the 4-71-blown smallblock as Carole Puhlman looks on. We featured the highboy in TRJ #32 after its meticulous restoration for then owner Jorge Zaragoza. It was auctioned a few years later in 2012, and now it’s available again during Mecum’s Kissimmee Auction, which runs January 3rd through 13th. 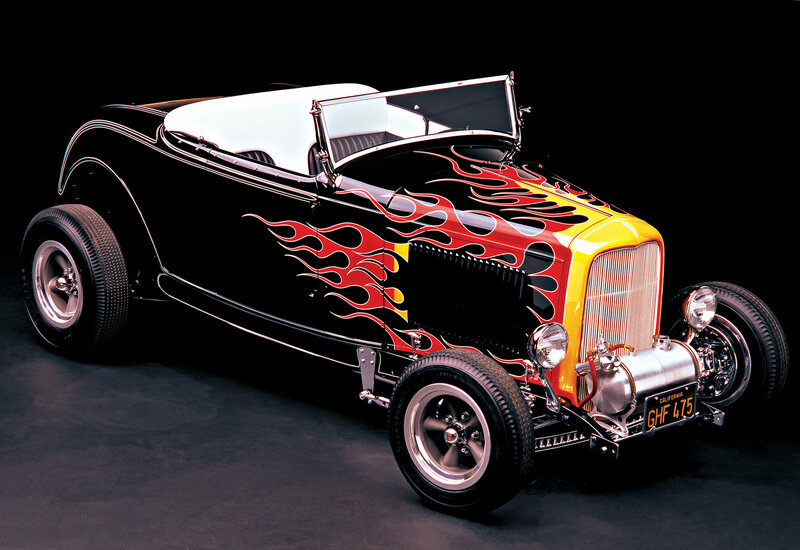 Back in 2007, the McMullen roadster was named one of the 75 Most Significant 1932 Ford Hot Rods of all time and included in the Deuce's 75th anniversary display at the Grand National Roadster Show. Roy Brizio Street Rods handled the restoration. Many other hot rods and customs will be among the 3,500 cars offered, including Richard Graves’ recreation of Sam Hollingsworth's Nomad, the “FoMoCo Freighter” ’37 Ford pickup, and a pair of custom Corvettes that came straight from the GM Design Studio for Harley Earl and Bill Mitchell. You can visit mecum.com for more information, to learn how to bid or check the live television broadcast schedule, or to page through the eye-popping array of rods, customs, muscle cars and exotics slated for auction. 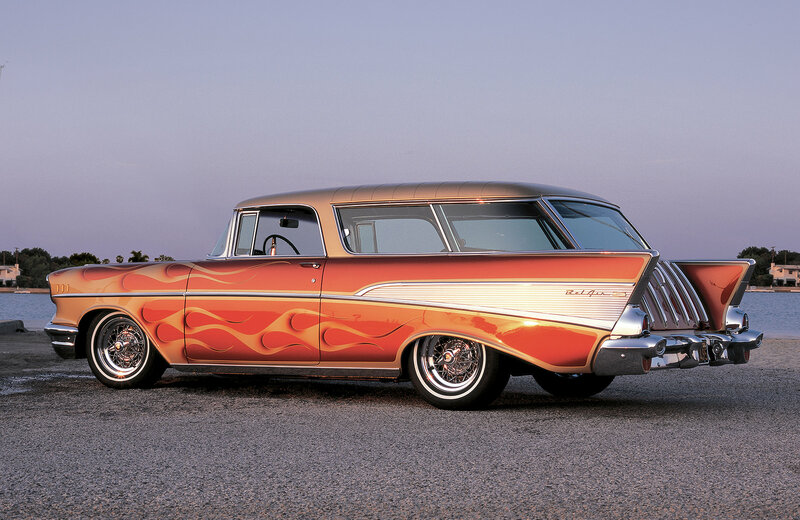 Sam Hollingsworth's '57 Nomad has long been a favorite of ours, and Richard Graves' tribute captures the look and feel of the original. Just like on Sam's Nomad, Dennis Ricklefs sprayed the signature candy paint. We featured the car in TRJ #48, and it will be up for auction in January. In 1963, Carole Puhlman appeared on the cover of Hot Rod alongside Tom McMullen and his iconic Deuce. During those days, Carole worked with Tom at Beckman Instruments, and she and her husband were hot rodders too. 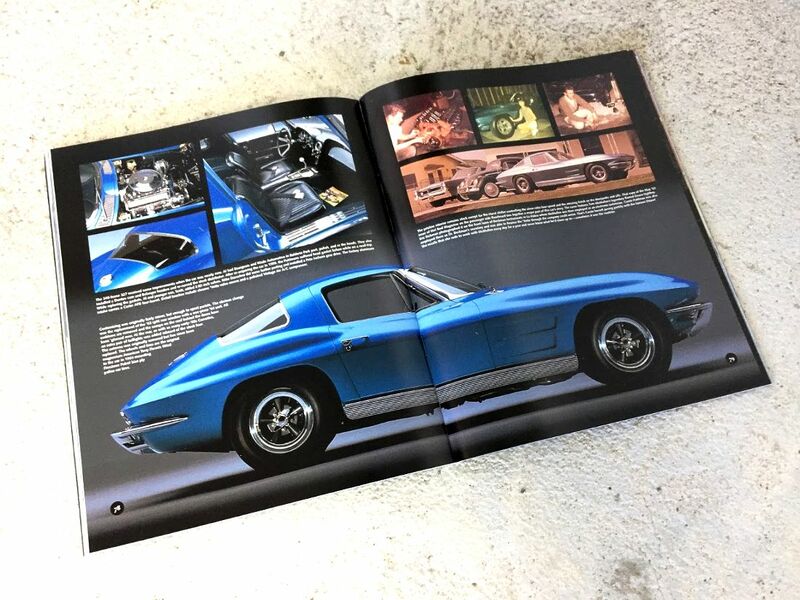 The Puhlmans purchased this '63 Corvette off the showroom and, after an accident, commissioned Junior Conway to restyle and repaint the car. Even after decades of use, the pearl blue paint held up nicely. We told the complete story in TRJ #20.